Health4life (Henderson) - Book Appointment Online! 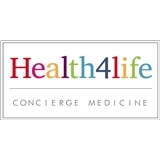 Health4life is a Concierge Medical Clinic. We specialize in caring for people who are focused on living a healthy life. Our Chief Medical Officer & Founder, Dr. Thomas Alfreda, is an Internal Medicine and Age Management Medicine Specialist. We manage and provide you concierge healthcare for all of your primary and internal medicine needs. Dr. Alfreda was recently awarded 'Best Medical Doctor of 2016' by the Review Journal! We offer all of our unique services in one location while providing exceptional service. We take care of your internal medicine/primary care needs, proactive needs such as Hormone Therapy for Men and Women, Medical Weight Loss Programs, and we coordinate all of your specialist and diagnostics needs. We are your one stop shop when it comes to your personalized healthcare needs!